A recent survey by Power NI has discovered that 70% of households in Northern Ireland put themselves at risk because they fail to service their boilers properly. The primary hazard is carbon monoxide poisoning. Carbon Monoxide (CO) is a poisonous gas which is especially dangerous because it is odourless and tasteless and therefore you can’t smell it although it can be easily detected by fitting a special carbon monoxide alarm. “Skipping a service could lead to a false economy as ultimately having a boiler serviced can save money by ensuring the heating system is working efficiently, prolonging the life of the boiler and saving money in the long run” said spokeswoman Jenny Livingstone. The survey sampled 250 customers and found that 60% of them had not carried out the annual boiler check. 20% of these had not had their boilers serviced in the past two to three years with 12% admitting that they had never had their boilers serviced. Even more alarming was the finding that 24% were not even aware of the need to have boilers serviced regularly. Statistics from the Northern Ireland Coroners Service reveal that from January 1 2008 to November 25 2010 there were 31 carbon monoxide-related deaths in Northern Ireland. Among the typical cases was an incident in August 2010 in which two teenagers awaiting their A-level results died from the fumes at a holiday apartment at Castlerock on the North Coast. The deaths of Aaron Davidson and Neill McFerron, who were both 18, from the Ballyclare area north of Belfast, provoked a campaign to have as many carbon monoxide detectors installed in properties as possible. Carbon monoxide is widely known as ‘the silent killer’. It causes one death a week in the UK, largely due to faulty maintenance of boilers, central heating systems and flues. It causes breathing difficulties when inhaled and can quickly enter the bloodstream thereafter rapidly inducing coma and death. A major signal of an improperly serviced boiler is flames burning orange instead of blue and soot stains above appliances. Flues need to be checked regularly for blockage or leaks. A carbon monoxide detector can be fitted but it is only there to provide a warning and should not be relied upon in place of an annual service. If you do buy one make sure that it complies with BS7860. 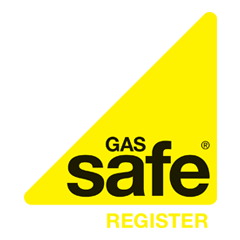 You can also take out central heating cover which includes an annual boiler service check by a registered Gas Safe engineer.